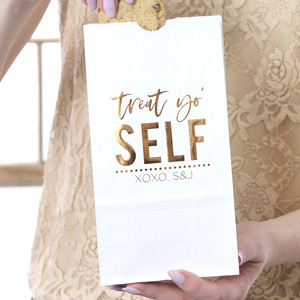 Fill custom printed goodie bags with trinkets, treats or swag—whatever the contents, your personally designed foil stamp on the outside will look fantastic! 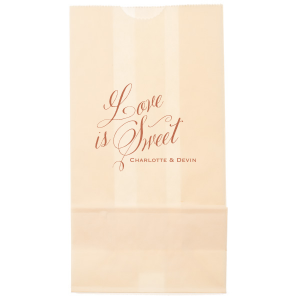 Do you or your partner have a major sweet tooth? 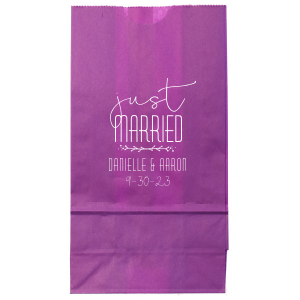 Set up a candy bar at your wedding reception and provide guests with wedding goodie bags for a wedding favor they'll enjoy for days. 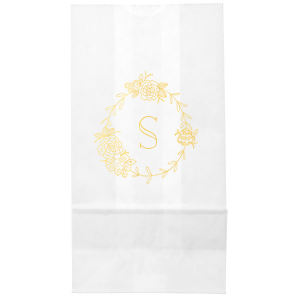 Foil stamped goodie bags from For Your Party can be designed to fit any wedding theme, classic to modern! 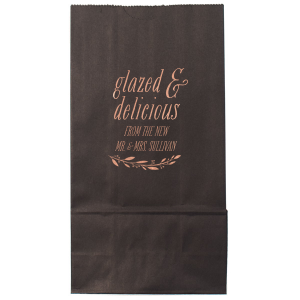 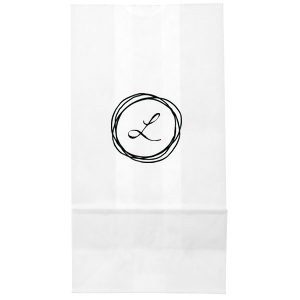 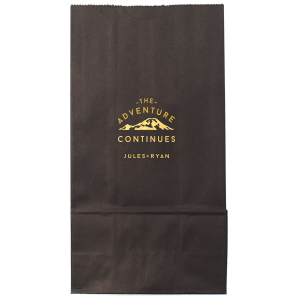 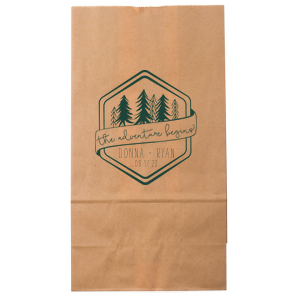 You can choose from our pre-designed bags; all you need to do is add your personalization for a quick and easy custom goodie bag. 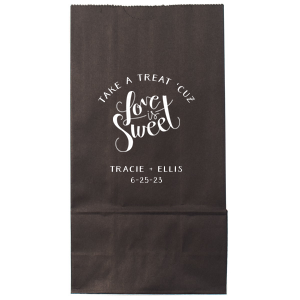 Choose from trendy phrases like "Love is sweet, take a treat" or "Donut leave without a treat." 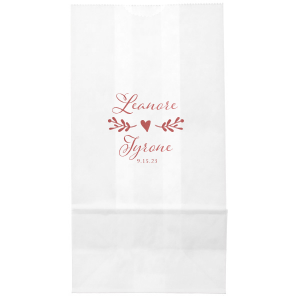 Another fantastic option is to start from scratch and design your own bags with our fonts and graphics. 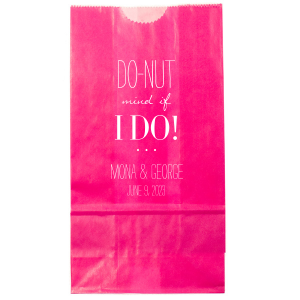 You can even upload your own art for a completely unique wedding favor bag. 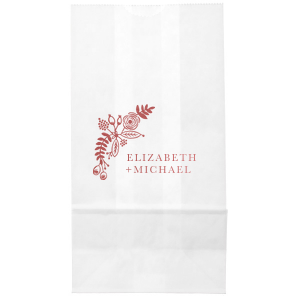 That means you can upload the wedding logo you used on your invitations, program and menu to also have on your wedding favors! 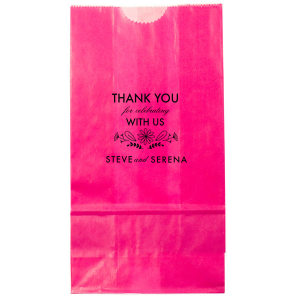 These custom printed goodie bags work for more than just weddings, of course. 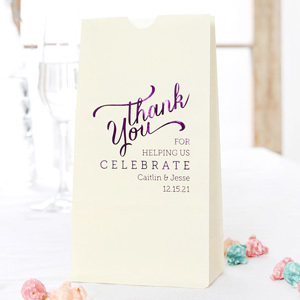 We also have styles that are fantastic for bridal shower favors, baby shower favors and birthday favors. 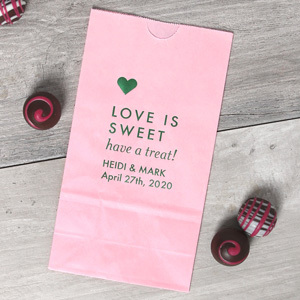 And they don't stop there! 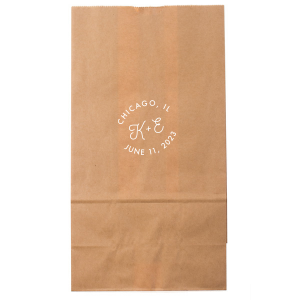 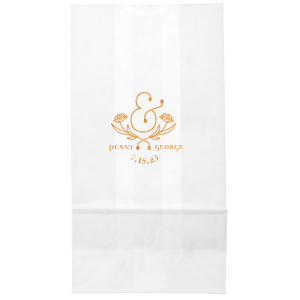 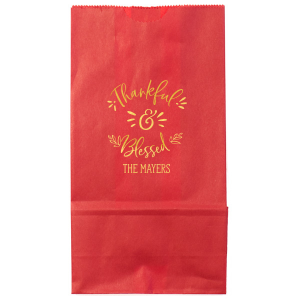 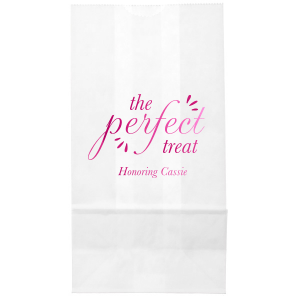 Find personalized goodie bags for graduation parties and even corporate events. 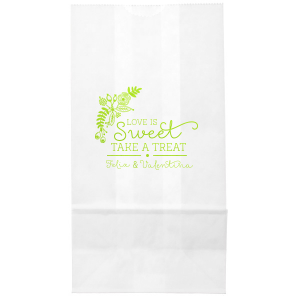 Custom goodie bags are also super fun when themed for holiday parties like Valentine's Day and Halloween! 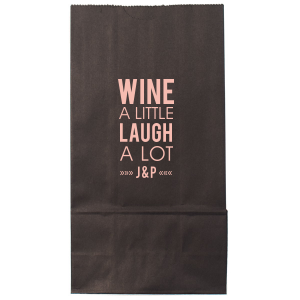 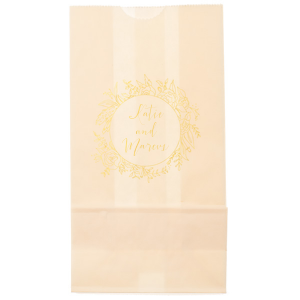 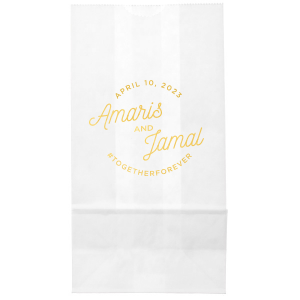 Create your ideal personalized goodie bag on For Your Party today.